For the second year in succession Dassault Systèmes will be hosting the 3D FinTech Challenge which will run from 17 September to 4 November 2014. The 3D FinTech Challenge 2014 is a 7-week immersive technology program, hosted by Dassault Systèmes. It is designed to empower innovation and aid the acceleration of innovative solutions to maximize product development efficiencies within the financial services sector, and this year, specifically for the buy side. This year Dassault Systèmes has partnered with ValueStream Labs, the leading New York based accelerator hub, to leverage their industry mentor-driven model in the US and enable finalists to access and gain expertise from the New York based FinTech community, the world’s largest FinTech hub. The Challenge will be hosted at Level39, Europe’s largest accelerator hub for high performance start-ups in the financial services community. On-going mentoring from Dassault Systèmes’ senior executives and senior members of London and New York’s financial services community, to help shape the products and technologies being developed. Master classes given by domain experts, covering topics such as UX and interface design, intellectual property rights, marketing and licensing agreements. Full access to a dual–center community of entrepreneurs, start-ups and high growth companies through Level39, Europe’s largest accelerator hub for fintech start-ups, based in London’s Canary Wharf and ValueStream Labs, in New York. A chance to participate in one of the Dassault Systèmes’ 3DEXPERIENCE Customer Forums where the winning team will showcase their product to major global corporations. 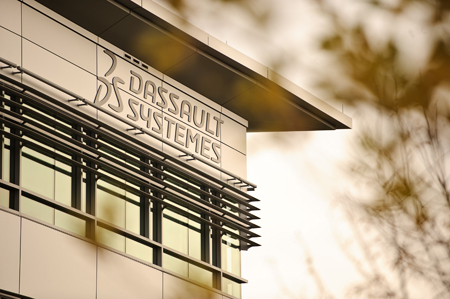 The Challenge is a key element of Dassault Systèmes’ drive to bring accelerated innovation, 3D visualisation and improved product lifecycle management to the financial services arena.